It has been a delightful week for outdoor fun in Lake Placid. The 2010 Lake Placid Horse Show enjoyed another stretch of perfect equine competition weather and wraps up with the Grand Prix today, Sunday. In short, the weather has been fantastic for building AND for playing outside. The roads and trails are bustling with cyclists, hikers and runners. Ninety-degree temperatures have attracted the paddlers, swimmers, H2O skiers, and water folk who have taken over the lakes, rivers and ponds. Some are recreational athletes, working on fitness; obviously smart people who believe in the Adirondack Lifestyle Wellness Theory (ALWT). Mixed in with the regulars are the competitive athletes training for their next Ironman, Olympics, road, bike, or the human race. You'll recall, part of the ALWT is my observation that for some people, athletic competition is a critical component of their ability to be part of the human race. 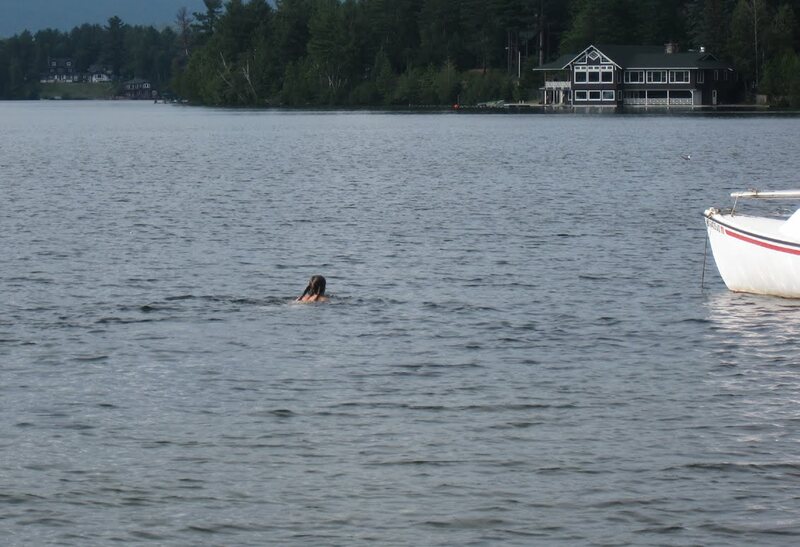 As you can see in the photo above however, it is ok to occasionally take a slightly more leisurely pace in Lake Placid. 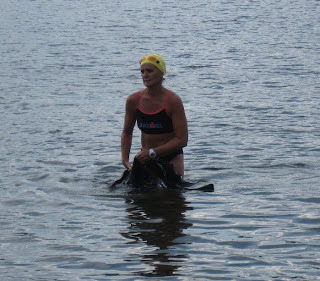 For example, a mellow approach when swimming the Monday Night Mini-Tri swim course is perfectly fine. 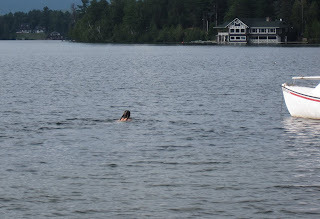 There is almost nothing more sublime than an invigorating swim in a crisp, Adirondack mountain lake after a pine and mossy trail run through the woods. 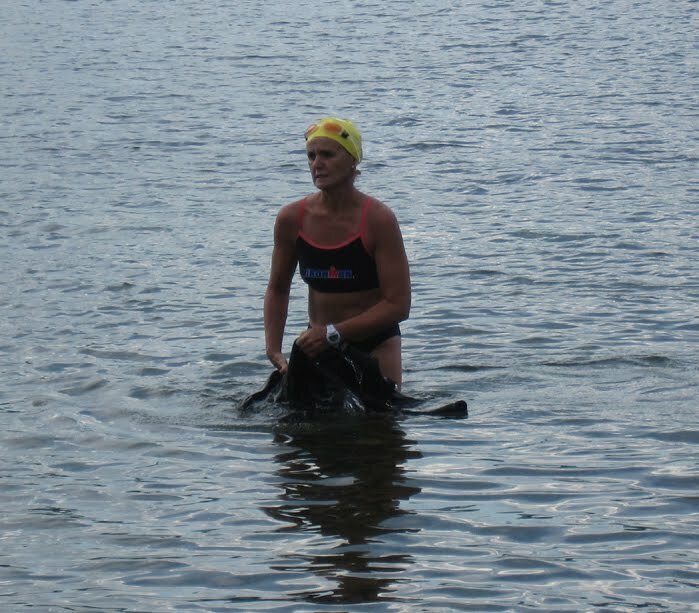 I do my triathlons backwards. 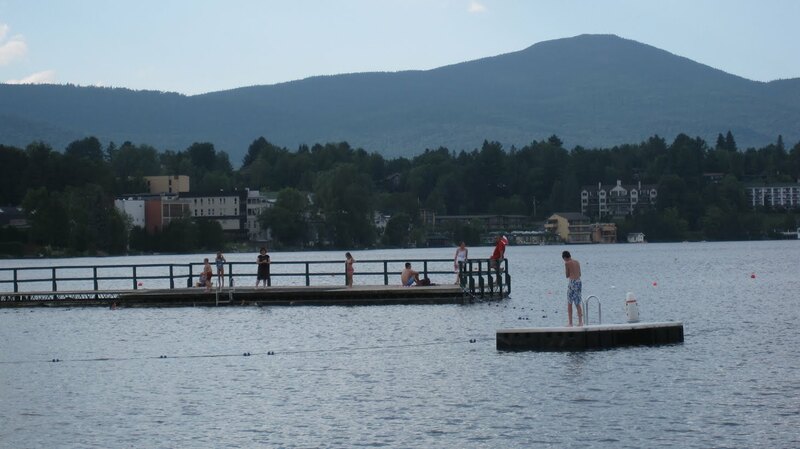 Enjoy the photos of a typical summer's day in Lake Placid. 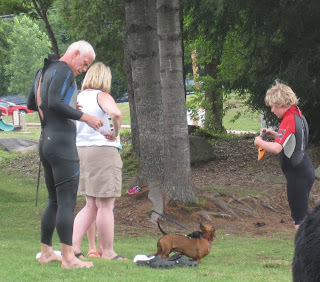 Wetsuit not required - the water temperature is perfect. 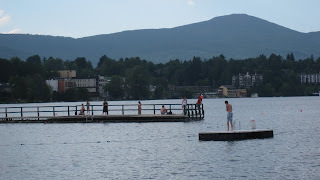 Below is the dock on Mirror Lake at the public beach in Lake Placid; a perfect spot for a post-run or bike dip. 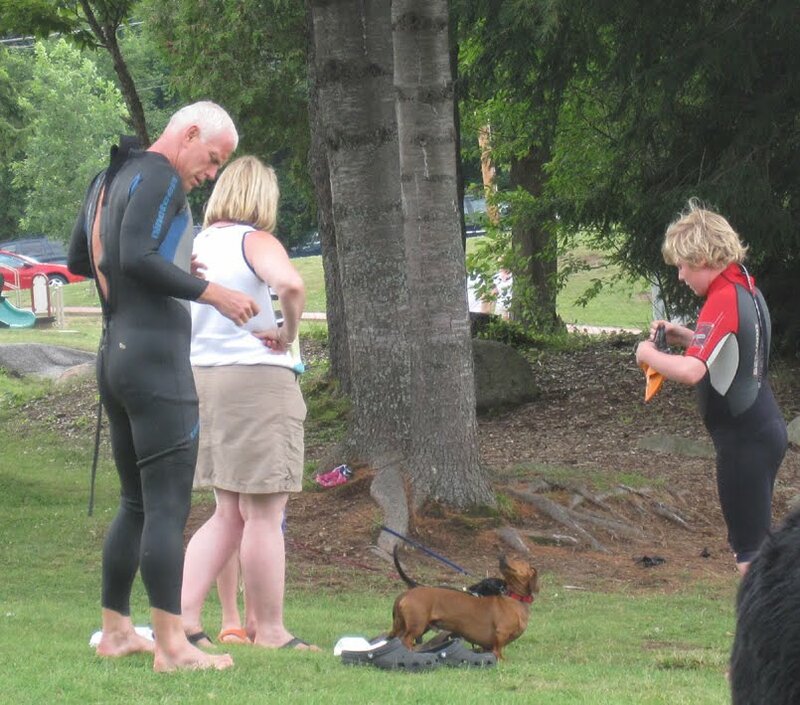 The public beach is a great place for friendly dogs and people. The dogs are usually pretty good about it!